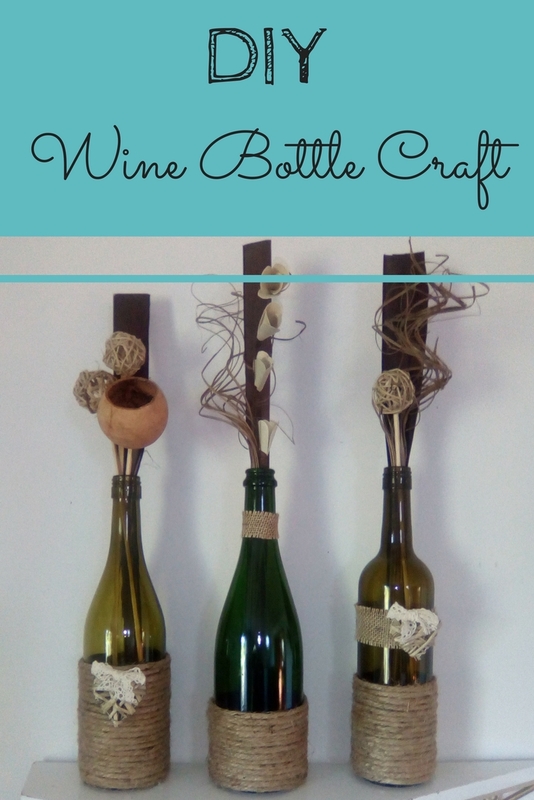 Check out this super easy DIY Wine Bottle Twine Craft! I happened to have a few empty wine bottles in my recycle bin and I also had some thick twine. That set my mind in motion and I was able grab a few other items at the dollar store. When all was said and done, this project cost me about $7 to make! Items to Decorate – I used this burlap lace and twig hearts similar to these. This is super, super simple. Which is exactly how I like my crafts! The whole process took me about 2 hours to do 3 bottles. 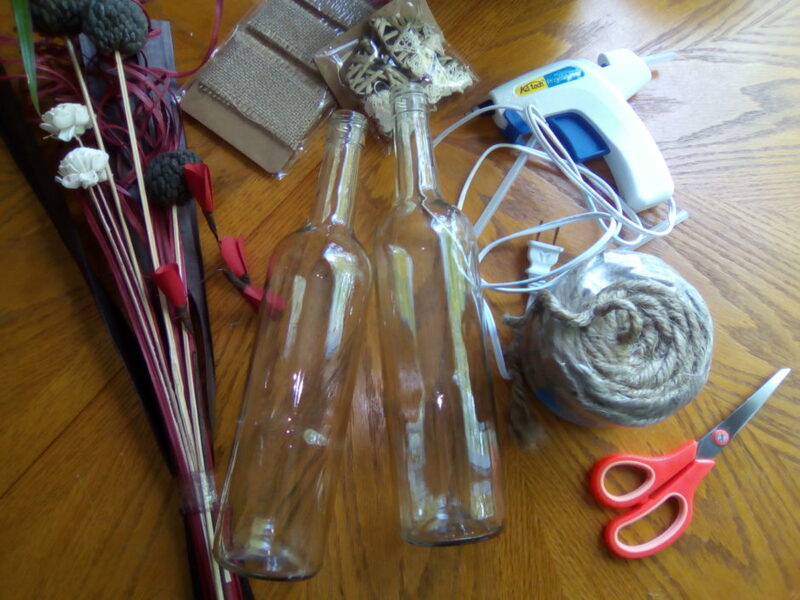 Winding and gluing the twine around the bottles is obviously what takes up the most time. The trick is to keep the twine tightly wound and as close together as possible. 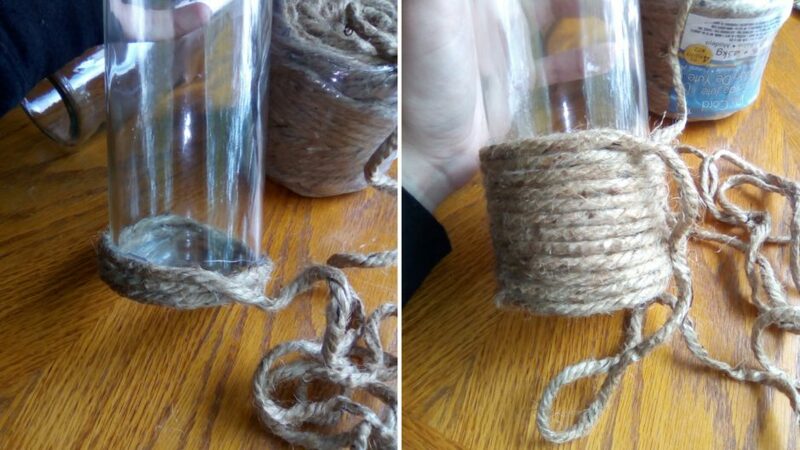 You can wrap the twine as high, or as low, as you want. I did different levels on each of my bottles, I found it looked more interesting. 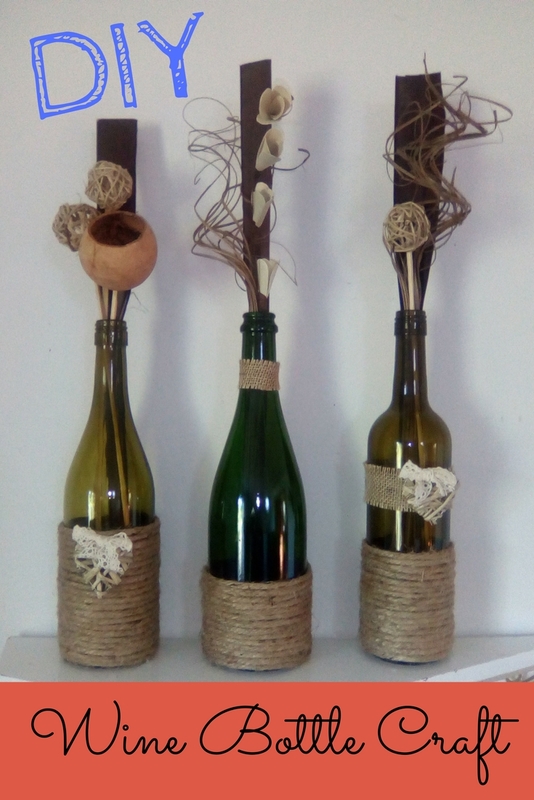 After I finished with the twine, I added the burlap ribbon and twig hearts to a couple bottles. I tried to make each bottle look different and unique, but you could make all three the exact same if you like! My idea was to have all three displayed together, but if you did a few bottles that were the same, you could place them in different areas and it would still have a nice, uniform look.